The mission of L2G Canada Health & Beauty Ltd. is to bring to market clinically proven health and beauty products that improve people’s lives. We’re passionate about improving consumer lifestyles with products that work, from head to toe, inside and out. 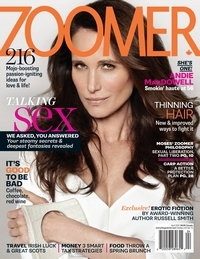 Viviscal® was featured in the April issue of Zoomer Magazine in an article titled "Through Thick & Thin," where author Maria-Elena John writes about her journey in finding a solution to thinning hair. 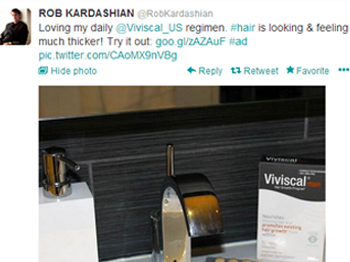 The author was impressed by the "unique way Viviscal has penetrated the North American market - through an almost underground word-of-mouth hair-and-fashion world cult following." Viviscal also impressed Maria-Elena John on a personal level, when she started to receive compliments on her hair after taking Viviscal, "Two months into taking Viviscal, my daughter Elyse tells me, 'Your hair is resurrected.' She's right - it's fuller, shinier. My sister-in-law Sonya says, 'Whatever you're using, I want it'...So, it works." 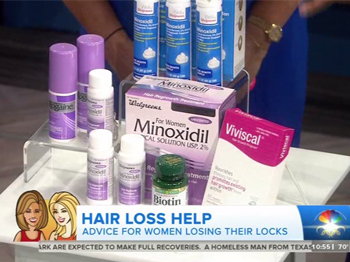 Renowned beauty expert Jill Dunn recommended Viviscal as healing hair remedy on The Marilyn Denis Show, saying "You're going to be trying to grow the hair from the inside out if you have a lot of thinning...I like Viviscal and this is the one that a lot of celebrities use...It just promotes hair growth. The results are scientifically proven." 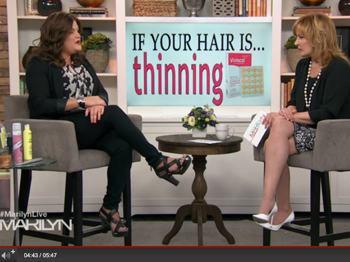 Marilyn then wrapped up the segment by calling Viviscal a "miracle hair product."